To the Editor: Preiss and Mafham  analysed the potential efficacy and safety of proprotein convertase subtilisin/kexin type 9 (PCSK9) inhibitors in reducing major cardiovascular events in clinical practice. However, the diabetogenic effect of PCSK9 inhibition was downplayed by the authors. Genetically determined loss of PCSK9 function has been shown to increase risk of type 2 diabetes and related variables. 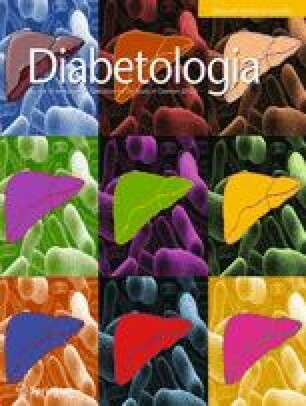 In particular, a significant and directionally consistent association between PCSK9 variants and clinical phenotypes has been identified: for each 1 mmol/l reduction in PCSK9-determined LDL-cholesterol, there was an associated 1.03 kg increase in body weight, a 0.006 increase in waist-to-hip ratio, a 0.09 mmol/l increase in fasting glucose, and a significant OR (95% CI) of 1.29 (1.11, 1.50) for type 2 diabetes . Furthermore, it was recently found that variants in PCSK9 had the same effects as variants in the gene encoding 3-hydroxy-3-methyl-glutaryl-coenzyme A (HMG-CoA) reductase on reducing the risk of cardiovascular events and increasing diabetes risk per unit decrease in LDL-cholesterol level . Unfortunately, the effect of these genetic variants on total mortality is unknown. Mounting evidence has established that risk of death varies significantly among individuals with familial hypercholesterolaemia . Moreover, the excess mortality from this disorder has varied over time, and in the 19th century, when infectious disease was prevalent, total mortality was lower than in the general population, thus suggesting that even in monogenic disorders, other genes and the environment can be important . Notably, the rate of decline in cardiovascular events has decelerated substantially in recent years . A significant concern is the possibility that cardiovascular disease mortality rates may stop decreasing and may even increase in future, in part owing to the increasing prevalence of obesity and diabetes at epidemic proportions. In this environment, genetic variants that further increase diabetes risk may, in fact, no longer be protective. In trials of PCSK9 inhibitor drugs, and specifically in the context of the real world global diabetes epidemic, physicians should carefully assess the possible diabetogenic action of PCSK9 inhibitor treatment. This work received no specific funding.